Roger became a Teamster member with Local 686 in 1989 as Route Sales Representative for Thomas’ English Muffins, and became a member of Local 633 in 2001 when Local 686 merged in. 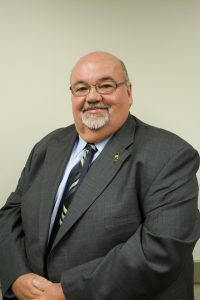 In 1999 he was appointed to the position of Shop Steward, representing approximately One Hundred Route Sales Representatives and Warehouse Workers employed at S.B Thomas, Entenmann’s, and Arnold Bakeries. In 2005 Roger became an Organizer for Teamsters Joint Council 10 New England and was instrumental in organizing over 15, OOO New Members with Teamsters Joint Council 10 New England. Currently, Roger is a Field Representative for Local 633, representing members at Casella Waste, Mondelez (Nabisco) North Star Steel, Pepsi Cola Cranston, STA Windham/Pelham, Derry Public Works, Sandown Police Department, Yankee Greyhound Racing and Yankee Greyhound Racetrack Secretary Association. Roger is a registered lobbyist in New Hampshire, and is currently working against the Right to Work Legislation. He is also fighting for and on behalf of all Teamster families throughout the state against anti-Union and anti-worker legislation.